Making Medicare simple for over 30 years. Our expert advisers are here to help you. At My Medicare Quotes, we constantly shop the market for the top Medicare supplement plans and work hard to understand which plans are best for which people. With us, you’ll deal with an expert who is independent, local, and trusted. We’ll help you choose the Medicare supplemental insurance that suits your needs, not someone else’s. Best of all, our simple process will not cost you a thing. Contact us (215) 738-8100 today for your free Medicare quotes. Hands down the best decision I made was to call Joe. He's knowledgeable, responsive, friendly, and he made the whole process of finding a plan for my parents so much easier. I had excellent - through and prompt service. I could not be happier. I would highly recommend this company. I have to take a very expensive drug, so choosing the right Social Security plan was a daunting task in navigating through the many plan choices available. Luckily for me I called Joe and he helped me choose the perfect one. He followed up with me a few hours later and by the next day, I had approval with the insurance company! You don't have to fret over the process; just call Joe. My husband & I were stressing about picking supplemental insurance and Joe came to our home, sat at our kitchen table and made the whole process very easy to understand. We are grateful for his knowledge and walking us through the process of selecting insurance. Thanks Joe! My transactions with Mr. DeAngelis were superb. Every detail was addressed and I was allowed unlimited time for questions and concerns.Changing my health plans were very easy using Joe as my agent..
Joe is very knowledgeable about Medicare and the Medigap plans, and he helped pick the best options for my wife and I. He is very thorough and it was a pleasure to work with him. I would definitely refer him to others. Joe provided excellent service. He is very knowledgeable, informative, and helpful. Encountering Medicare for the first time was a daunting prospect for us. Joe's expertise and his ability to explain our options was extremely helpful. Joe has been a complete professional to work with. He has taken care of both Denise and I. I thought I knew all about getting a good provider, but Joe sure steered us straight. He saved me a LOT of money on my supplement, got Denise an excellent plan, and explained several things that had confounded me in the past. My only regret is that I didn't contact Joe sooner, when I started Medicare. He IS the Medicare guy! My wife used Joe last year and highly recommended him. Glad she did. He just saved me $100 a month on my Medicare plan with a company my wife has been very happy with. I like Joe's manner, his knowledge of the plans and his attention to detail. I am now reading his blog, too, and referring him to as many friends as possible. Many years ago, I handled health benefits plans for the federal government. I am sorry to admit the plans have gotten too complicated for me to deal with along. I'm glad I now have Joe to help me wade through the various options. Joe DeAngelis is very professional and courteous. He works with youto make sure you are getting the best plan that is needed at the most affordable price. Joe did a great job. He was knowledgeable and help navigate me through the process. Well done. Joe DeAngelis gave me options to consider, called insurers on my behalf, and found the best rate for me. He responds quickly and working with him is an enjoyable process. Joe is the best. He is very knowledgeable about the various plans, very patient and you know that he has nothing but his best interest for his clients. He did a great job helping my 94 year old Father pick his plan last year and my Wife pick hers. I am confident that the Plan and company he recommended for me for this upcoming year will work out in my behalf. Understanding Medicare insurance plans and picking the right one can be a daunting task. Don’t feel bad if you’ve had a hard time with it. Medicare Supplement Plans (Medigap), Medicare Prescription Drug Plans, and Medicare Advantage do not explain themselves. And while Medicare is generally an excellent health insurance plan, there is no one option that is the best fit for every single person. You have your own needs that are specific to you. We understand that and can help you pick the right plan. We have provided health insurance, Medicare, and Medigap education for more than a quarter-century. We’ve done all the legwork and read all the fine print for you. 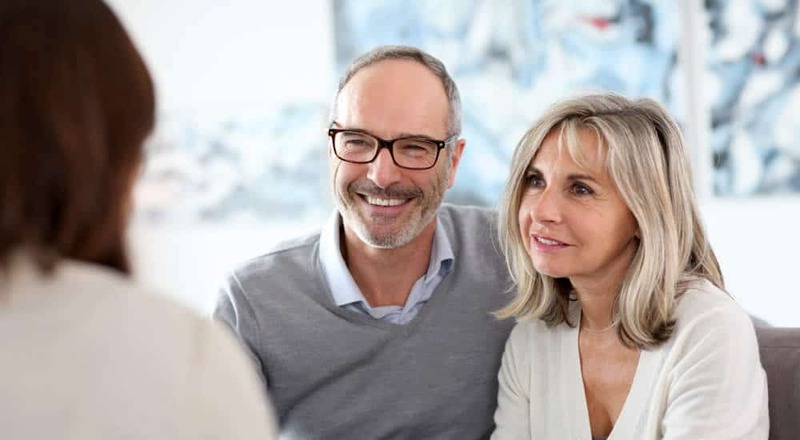 Our knowledgeable, trustworthy, and unbiased expert will explain your Medicare options, along with the pros and cons of each potential choice. Working with them will help you make this important decision a well-informed one.